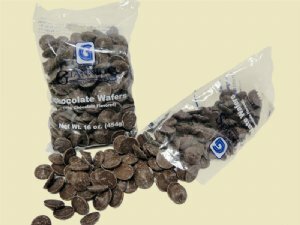 How to melt Confectionary Wafers? Description: I Love this chocolate, everything they make is very good. Description: I found these wafers years ago in a store when i was making Christmas cookies and candy. I have used it ever since. After moving across the country, I still have it shipped every year. This is one thing I won't substitute!